In County Monaghan, the programme is managed by the Local Community Development Committee (LCDC), with support from Monaghan County Council, and actions are delivered by the Programme Implementer, Monaghan Integrated Development CLG (MID). SICAP works with marginalised communities and service providers using a community development approach to improve people’s lives. For example, helping people to find work or to upskill, providing CV training or a personal development course, helping them onto a work placement programme such as CE or Tύs. 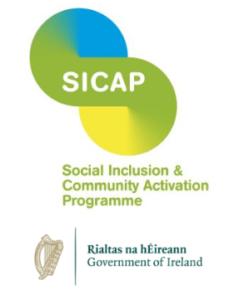 SICAP 2018-2022 is funded by the Irish Government through the Department of Rural and Community Development and co-funded by the European Social Fund under the Programme for Employability, Inclusion and Learning (PEIL) 2014-2020.